If you’ve never worked with an editor before, it can be a daunting experience. What if they don’t understand what it is you want to say? What if they change your words in a way that misrepresents you? Many writers feel very personally attached to their work, so turning it over to an editor can be a frightening step. To get the most from working with an editor, approach the relationship with an open mind and remember that an editor’s goal isn’t to change your voice—it’s to make your voice clearer. Of course, not every editor will be a good fit, so it’s also vital to remember what your goals are as a writer, and to advocate for yourself. 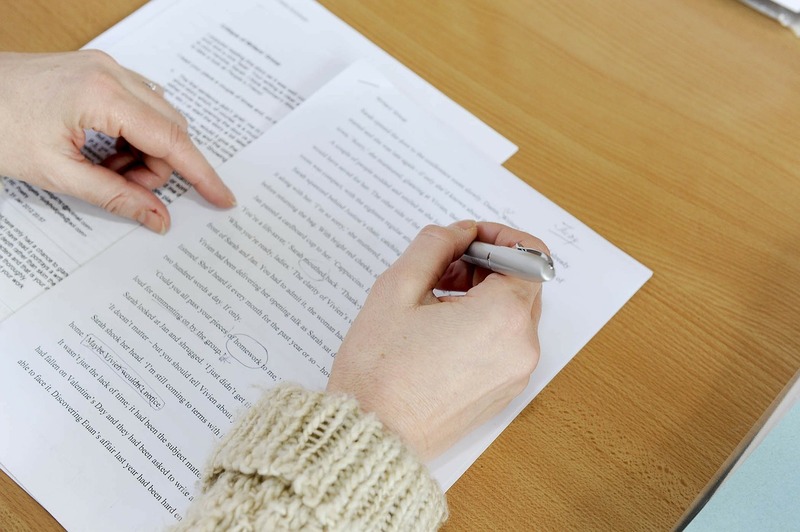 And be sure to find an editor who does the kind of work that you need: as Beena Kamlani explains to Writer’s Digest, some editors specialize in developmental editing or line editing, others in copyediting, and so on. A good editor won’t just preserve your meaning and intentions. A good editor will help you refine and articulate your voice as a writer. In fact, Publisher’s Weekly recommends that all writers find themselves a good editor. Here are just a few of the ways that an editor can help you. An editor will bring an external perspective to bear on your writing—and not just any perspective. Editors are experienced, trained readers. That means that they are adept at identifying places that might make perfect sense to you, but that need elaboration or development to make sense for somebody else. Your editor will advise you on when you need to provide clearer explanations or greater detail, all with the goal of helping you communicate your story more clearly. An editor’s perspective can play a crucial role in helping you to tell the story that will have the greatest impact on your readers. When left to our own devices, it can be easy to develop bad habits as a writer. Perhaps you have a tendency to over-use semicolons. Maybe you have a predilection for sentences that are long and wordy. Or maybe you have writing habits that you’re not even aware of! An editor will identify the habits you’ve developed that might be distracting to a reader or detrimental to your writing, and they can advise you how to use effective alternatives. As a writer, you may have a lot that you want to say. For readers to connect with you, though, you need to give them a clear narrative thread that guides them through your ideas. A skillful editor can help you find that thread, and can help you structure your story so that it flows naturally and logically. Editors will be able to provide you with advice on what information is extraneous to your narrative and might distract a reader, they can help you emphasize key narrative points, and they can suggest smooth transitions that will make your story flow. fiction, and we want to help you find your voice. Contact us today to find out more about our comprehensive editing and formatting services.